Whether the municipality takes out insurance, or is self-insured it is realized that a certain amount of risk management reduces the municipality's expenditure for repair or insurance premium (article in Danish). As a bonus to protecting municipality institutions from leakage, a beneficial influence on the green accounts for water and heat consumption is realized. Supply water leakage protection, using ultrasonic flow meter. 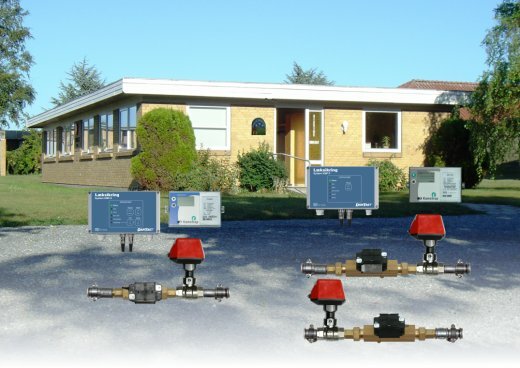 Numerous possibilities for hooking up to fire alarms, burglar alarms and PIR motion sensors, and options for special valve types permit protection even of installations where fire hoses are attached to the general supply water installation.